Here we are early morning yesterday ready to go for the first day of harvest. 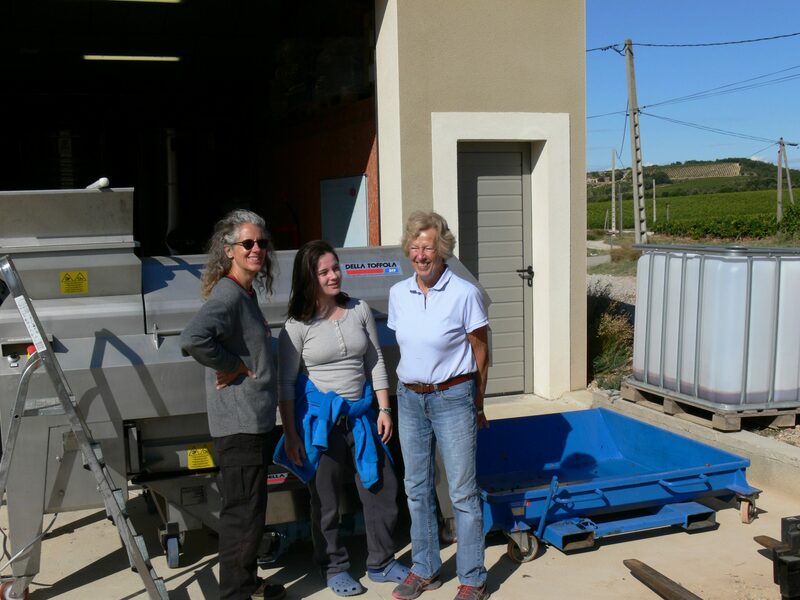 Yesterday we hand harvested the Syrah in Cru Vinsobres. The grapes are in great condition and now safely in the tank in the winery. 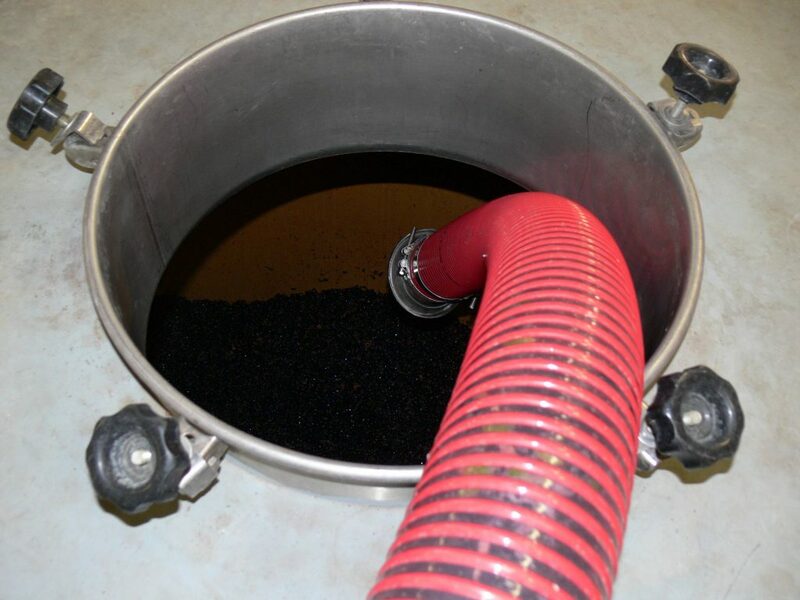 We allow the fermentation to start naturally rather than adding commercial yeasts so it takes a few days to get going. 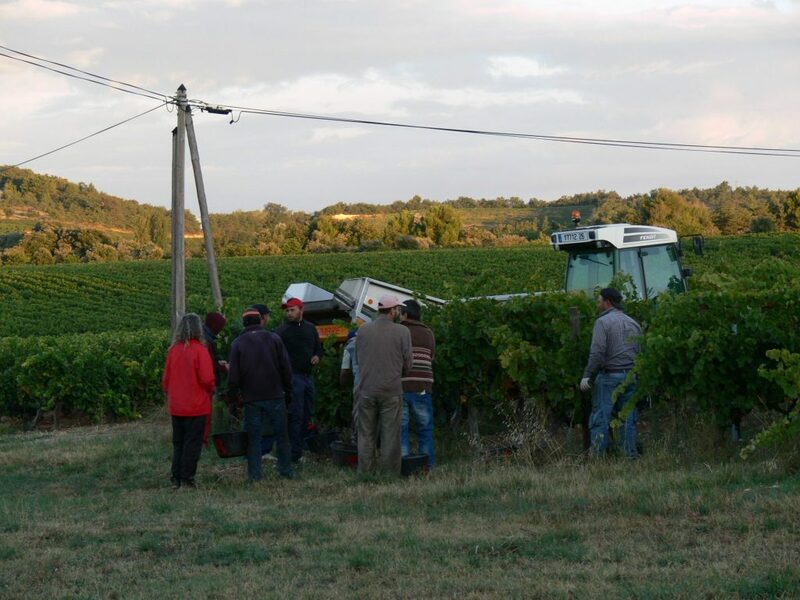 Today we were meant to machine harvest the grapes for the rosé Carpe Diem, but the harvesting machine is broken down and can’t be fixed until Monday so that has been pushed back to Tuesday. Fortunately the weather is dry and cool, so the grapes will not evolve much between now and then. First grapes in the tank and looking good! Three generations working together to bring in the harvest.